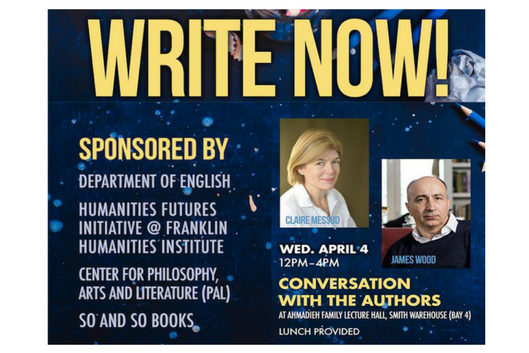 The English Department is pleased to present a new author event series titled Write Now! The inaugural event will feature novelist Claire Messud and New Yorker critic James Wood. This series is also sponsored by So & So Books.